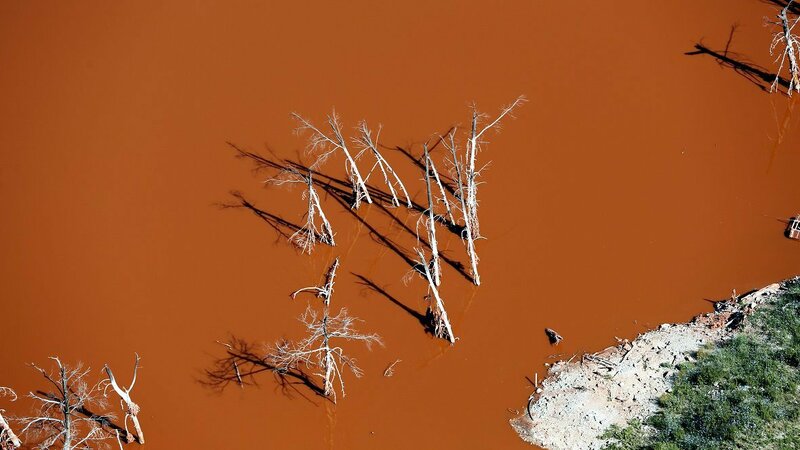 On July 20th, the Marseille Administrative Court delivered its verdict concerning the Alteo plant’s derogation from pollution standards and its toxic discharges into the Mediterranean, better known as “red mud”. The conclusion of the verdict: a two-year reduction of permissible derogation, and an imposition of a study on the cumulative effects of discharges at sea. Representing a remarkable victory after a 10-year effort for the Surfrider team and the Keepers of the Coast program against Alteo, the world leader of the production of aluminas. Update to January 25, 2019: Following the Administrative Court of Marseille’s verdict to reduce the permissible derogation by 2 years, Alteo countered with an appeal. The Administrative judge rejected this appeal, thereby confirming the initial verdict for a derogation reduction! For more than 50 years Alteo has been pumping industrial waste from their factory in Gardanne into a pit 7.7km offshore of Casis Bay. The liquid effluents travel a total of 54.6km before being dumped into the pit measuring 320m deep. More than 20 million tons of ‘red mud’ has been released on more than 2,000 km2 of seabed- averaging 1,095 tons a day since 1967. In 1998, Alteo was granted, by government decree, the right to deviate from the Mediterranean’s authorized pollution regulations until 2015. At the end of 2015, a new decree extended the divergence until 2021. Surfrider Foundation Europe is asking for the cancellation of this new order since 2016! Surfrider has always maintained that Alteo productions should be held to national and European standards without derogation. “The operator should have thought about solutions for compliance of its facilities. It is not the Mediterranean Sea and its direct users to pay the price today,” explains Sarah Hatimi, Water Quality Program Manager at the Surfrider Méditerranée office. The Court also requests deeper analysis on the cumulative effects of the operation’s discharges at sea and asked Alteo to complete further impact studies of its effects, as well as the storage of ‘red mud’ samples at the project site. Surfrider Europe will remain present on the case until the regulation reenactment of 2019 is fully established and adhered to. The decision of the Marseilles Administrative Court to reconsider the 2015 decree is most importantly a victory for the Mediterranean sea against polluting industries trying to attack it. The ruling also represents a win for the dedicated citizens and associations who mobilized to put an end to permissible pollution. The Surfrider Coastal Defenders program is proud to work alongside such a motivated community to protect and preserve Europe’s coastlines.